Inlet Brewing Company creates local inspired beers utilizing the highest quality ingredients. We believe beer should be complex but brewed with simple, wholesome ingredients. 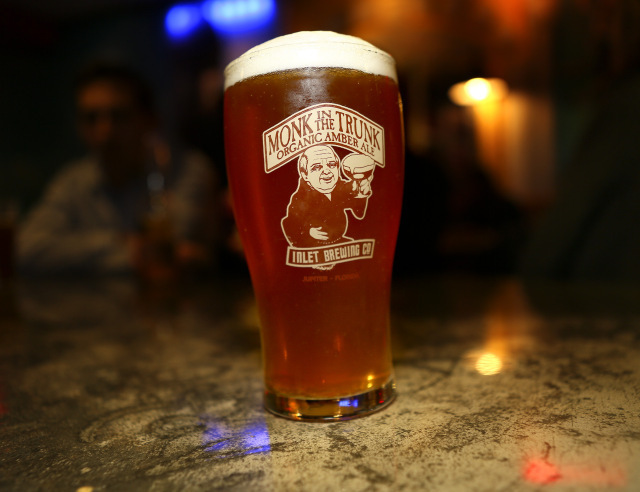 Our flagship beer, Monk in the Trunk is brewed using all organic ingredients bringing you a refreshing, unique copper colored ale balanced with the right touch of USDA certified organic hops. Although some brewers chose an different path, we believe you can taste the difference in every drop. Each recipe has been developed over countless test batches and recipe formulations by our esteemed brewmaster. Our goal has always been to create well rounded, Belgian inspired beers which offer just the right combination bringing together Florida and Belgium. This unique copper-colored ale derives its fruity, slightly spicy aroma from authentic Belgian Abbey yeast. The subtle nutty and malty sweet flavors sing in harmony with the freshest organic hops available. Share the love on social media with us. We love seeing where the monk takes you!